Manhattan Mental Health Counseling, a psychotherapy private practice in NYC that accepts insurance, today opened a second office in the city. Everyone stands to benefit from psychotherapy. 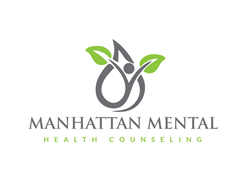 Founded by Natalie Buchwald, Manhattan Mental Health Counseling was created to provide a highly-personalized approach to therapy. Each session is tailored to a patient’s individual needs, and is offered at an affordable rate. Counselors at the organization work with adults, adolescents, couples, and families alike. “Everyone stands to benefit from psychotherapy,” said Natalie Buchwald. "We are thrilled to expand to Union Square and serve more New Yorkers." Manhattan Mental Health Counseling opened its first office on November 2015 at 109 West 38th Street in New York City. The second office will be in Suite 301, at 39 West 14th Street. By establishing a secondary location, Buchwald hopes that the organization will be able to provide better, more effective care to a larger audience. In addition to direct insurance coverage, Manhattan Mental Health Counseling also offers reimbursement through out-of-network benefit plans. Buchwald encourages patients who are uncertain about their coverage to contact her office in order to learn more.